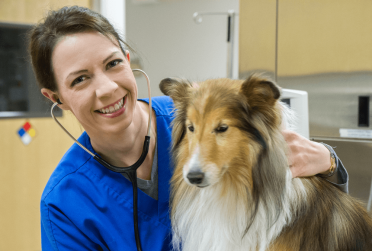 Animal ER Care in Colorado Springs, Colorado, provides critical care services when your pet is suffering from pain, illness or discomfort, or has been injured in an accident. We utilize the best technology and advanced systems to diagnose and correct ailments such as broken bones, intestinal problems, lacerations, and more. Your pet's health is our top priority. You know your pet the best and can identify if they are in distress or their behavior has changed. If you are unsure what the problem is, come to us. We provide full diagnostic services, including blood work, radiographs, and ultrasounds. When my dog cut her leg, I took her to Animal ER Care. The entire staff is so kind and caring. They took such great care of Kimber and she is on the mend. I cannot say enough good things about Dr. Stephanie and her staff. Thank you so much for taking great care of our little girl. I had to bring in my cat Rowan a few times. The last time was one of the hardest times of my life, but the staff was wonderful and gave me time to say goodbye. Thank you all. Our dog was septic. We had no idea how sick he was. Dr. Lawrence and her team did an amazing job stabilizing him, and giving the specialist a great summary for him to move forward with, treating him. He's home now and we are so grateful! Thanks Animal ER Care! You made a difference for our Oliver....you saved his life! We provide the right scrape and abrasion treatment to stem heavy bleeding and prevent infection so your pet heals correctly. We address these concerns with essential wound care for animal bites your pet has suffered. Caused by a traumatic injury or the rupturing of a malignant tumor, hemoabdomen requires immediate attention so your pet can continue to live a long life. We provide fast, responsive treatment of toxin, chemical, and food poisoning to save your pet's life. Your pet's case of vomiting and diarrhea could be the result of an ingested poisonous or toxic agent. Relatively uncommon in small animals, pericardial effusion is a life-threatening condition commonly seen in dogs, especially large and giant breeds, and cats.